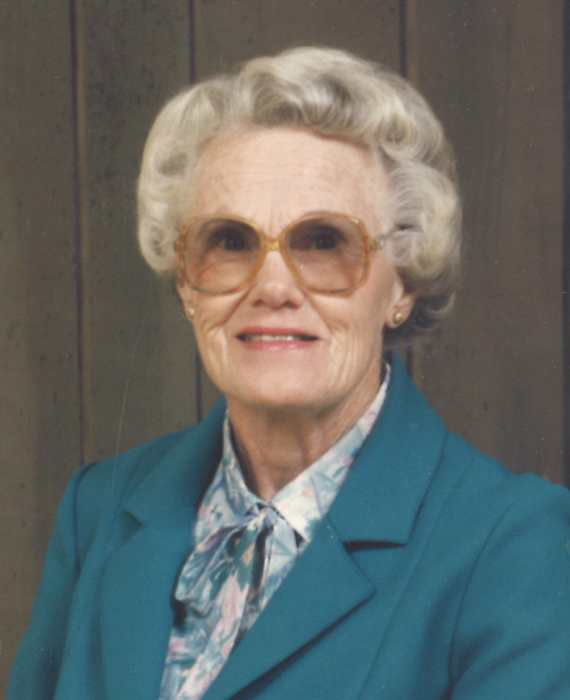 Mrs. Loretta M. Jones (Williams), beloved wife of the late Mr. Stanley C. Jones, passed away peacefully, at the Garden Vista in Magrath, Alberta, on Wednesday, March 27, 2019, at the age of 100 years. Loretta was born in the Galt Hospital in Lethbridge, Alberta. She was educated in Lethbridge and worked for T. Eaton Co. for 36 years as personal manager Southern Alberta Co-op on payroll. She played bridge and golf and was a member of the Henderson Lake Golf Club. Loretta was also a lifetime member of Southminster United Church and belonged to the Laurel Chapter #43 O.E.S. Loretta is survived by her nieces, nephews and great great nieces and nephews. She is predeceased by her loving husband Stanley C. Jones; parents Mary and John Williams; brother Jim Williams and sisters Dora Roberts, Katherine Chaster and Edna M. Calhoun. A Graveside Service will be celebrated at 11:00AM, on Saturday, March 30, 2019, at the MOUNTAIN VIEW CEMETERY, 1210 Scenic Drive South, Lethbridge, Alberta.